ENTER FOR A CHANCE TO WIN AN EARLY COPY OF THE QUEER ROM-COM EVERYONE IS TALKING ABOUT! 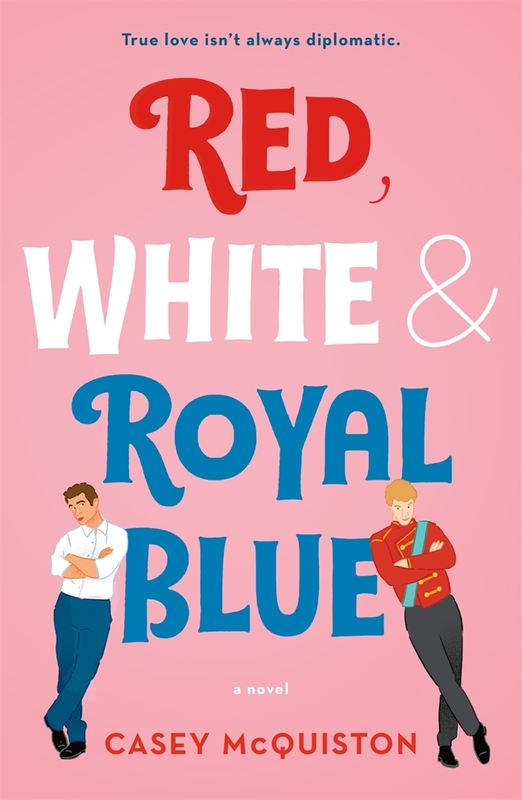 Casey McQuiston's Red, White & Royal Blue (5/14/19) is the kind of book that has many of our employees re-reading it multiple times, and it's the kind of book that you will want on your shelves—at home, in store, or at your library—for years to come. You'll laugh, you'll cry, and then laugh some more—and that's a promise. You'll first meet Alex Claremont-Diaz, a handsome, ambitious, and charismatic young man whose mother happens to be the President of the United States. And it won't be long until you meet his archnemesis: Prince Henry. When the tabloids get hold of a photo involving an Alex-Henry altercation, U.S./British relations take a turn for the worse. Heads of family, state, and other handlers devise a plan for damage control: staging a truce between the two rivals. What at first begins as a fake, Instragramable friendship grows deeper, and more dangerous, than either Alex or Henry could have imagined. Soon Alex finds himself hurtling into a secret romance with a surprisingly unstuffy Henry that could derail his mother's campaign and upend two nations and begs the question: Can love save the world after all?